You'll find Elmwood, Edmonton homes nicely located north of Whitemud drive and south of 87 Ave. NW. 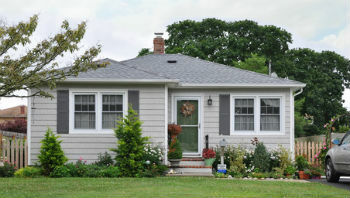 This mature community is bordered on the east by 159 St. and on the west by 170 St. It's not far from the beautiful North Saskatchewan River Valley parks and ravine. Homes in the area range from near two-storey homes to original area bungalows from when the community was first developed in the 1960s. Elmwood is very close to West Edmonton Mall and Misericordia Hospital. For someone looking for a great area to see their investment in a home grow, Elmwood is the perfect community. Learn more about Elmwood Edmonton Homes below the listings! Check out Elmwood real estate and you'll be a mere 5 minutes from the all the shopping amenities at West Edmonton Mall. The Mall is one of the largest in North America and it is certainly one-stop shopping at its finest with more than 800 stores and services plus all the amusement-ride fun of Galaxyland. A huge bonus for Elmwood residents are the schools within the community. With Elmwood Elementary, Hillcrest Junior High and H.E. Beriault Junior High School(a Catholic School) all right in the middle of the neighborhood, you kids can easily walk to school. The Elmwood area is close to many fine Edmonton restaurants as well. A local favourite for residents in the area is Brewsters, which as great selection of beers on tap, with awesome pub food. if you're getting takeout, Roadrunneres Pizza is within the community and has a good reputation for its food quality. Homes in Elmwood, Edmonton, are perfectly situated to take advantage of some of the best recreation and attractions in the city. The Zoo is a few minutes away if you want to spend the day at one of Western Canada's best zoos, which features more than 350 animals and some cool interactive exhibits. As mentioned, the pristine river valley is not far from Elmwood. To that end, you can get to Rio Park in about 7 minutes. Rip Park is connected to Westridge Park and you can wander along the trails from either park. In addition, Westridge has four public tennis courts if you enjoy playing tennis. If you're interested in viewing any Elmwood, Edmonton homes for sale, please email our team at MaxWell Challenge Realty today. Reach us at 780-990-7777. We are Edmonton's real estate experts.